My paternal grandmother was Tillie (Tevel) Shaev Kramer, know to all her grandchildren as "Bauby." She was born September 14, 1896 and died in Waterbury Connecticut on June 01, 1978 at age 84. She was the daughter of Joseph Shaev and Sara Teitel Shaev. I do not know much about her family but she had two brothers, Max and Louis who lived in New York. She told me that she had a sister who was killed in a circus fire in Europe. She also told me that she came to this country in first class passage. She and her brothers were brought to the USA by their Uncle Simon Teitel. She did tell me that the country where she was from was beautiful with rolling hills. According to my Aunt Harriet Kramer Meisel, and other sources, Bauby was from Volhynia. I have found the name "Shaevitz" in my DNA matches, so this might be a variance of the family name. Volhynia or Volyn (Ukrainian: Волинь) is a historic region in Central and Eastern Europe straddling Poland, Ukraine, and Belarus. The borders of the region are not clearly defined, while the territory that still carries the name is Volyn Oblast, located in the western Ukraine. Volhynia has changed hands numerous times throughout history and been divided among competing powers. Since the fall of the Soviet Union in 1991, it has been part of the independent nation of Ukraine. My grandmother's grave stone at the Waterbury Hebrew Benefit Cemetery in Waterbury Connecticut. The Shaev family. 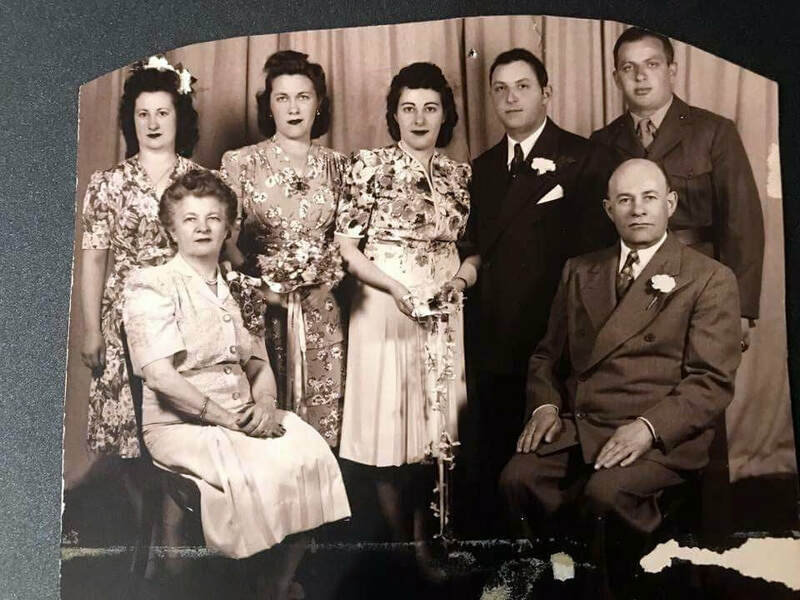 Max Shaev, my grandmother's brother, is seated in the lower right. Max Shaev's petition for Naturalization.